Tickets for the full-collection shorts screenings that will be held at The Prospector Theatre, 2175 Sidewinder Dr., from Feb. 20 to Feb. 22, are $8 for general admission, $7 for students and senior citizens. Tickets can also be purchased by visiting www.parkcityfilmeries.com/tickets.html . For more information visit: www.parkcityfilmseries.org . To celebrate the upcoming Academy Awards, the Park City Film Series will honor the academy’s nominated short films during a special pre-Oscar fundraiser at the Kimball Art Center, 638 Park Ave., on Saturday, Feb. 21, from 6 p.m. until 8 p.m., with the Garage Gallery serving as the screening room for the curated collection. The Academy Awards, the big daddy of film awards ceremonies, will take place on Sunday, Feb. 22, in a little more than a week. This will be the second year the film series will host the Celebration of Film gala, according to Katharine Wang, executive director for the Park City Film Series. "We have talked about doing something like this forever after Sundance," Wang said during an interview with The Park Record. "We do raise funds through the concessions we sell at the Sundance Film Festival, but we thought it would be fun to do something bigger." The film series will show one film from each of the nomination categories — live action, documentary and animation, Wang said. "Last year, our programmer, George Dymalski, picked two of the three eventual Oscar winners," she said. "This year, we feel we have a pretty good slate as well." (See accompanying box titled "Films scheduled to screen at the pre-Oscar fundraiser" for descriptions). The evening will also feature photographs taken by filmmaker and photographer Jill Orschel, catering by Done To Your Taste, opportunity drawings, and film trivia, with red-carpet-appropriate prizes. "Splendor will do a touch-up make-up job for people, so when you get a photo taken by Jill, you will look your best," Wang said. "We also have something from Farasha, which is a fashion boutique on Main Street, and we have a two-night stay at one of our wonderful hotels. Other sponsors include One Dot Design, Waldorf Astoria, Mary Jane’s and Paisley Pomegranate. Wang and the Park City Film Series board of directors decided to hang an event on the Academy Awards. "While the Academy Awards isn’t always the end all be all for independent film, it still is pretty nice to get those accolades, especially when the films are going up against others with bigger budgets, and, in my opinion, less interesting stories," she said. "We thought about how can we do something fun that celebrates film but also raises money for our free community screening programs." Those programs are the REEL Community Series, Dual Language Immersion and Books 2 Movies. "We do the REEL Community Series every month with local nonprofits to elevate their missions," Wang said. "We have worked with the Huntsman Cancer Institute in Salt Lake City to help reach their goal to create a Park City community room." The dual immersion program gives the Park City Film Series the opportunity to screen French- and Spanish-language films for kids to support not only their language acquisition in school, but also their experiences with those languages, according to Wang. 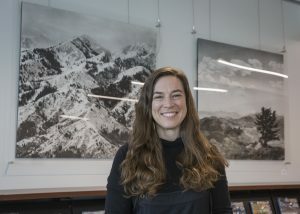 "We also partner with the Park City and Summit County libraries on the Books 2 Movies program," she said. "This helps children fall in love with literature through films based on books." 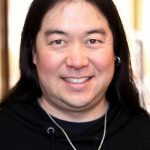 Short films are like the gems of filmmaking and that’s one of the reasons the Park City Film Series wanted to showcase them, Wang said. "As a filmgoer, you don’t really get the opportunity to see these shorts outside of a film festival," she said. "It takes a lot of skill to tell a story in 12 or 39 minutes. Our party is an opportunity for a private screening of these films." Also, shorts are where many filmmakers typically get their start. Damien Chazelle’s Academy Award-nominated feature drama, "Whiplash," which is about a drum student and his sadistic teacher, started out as a short, according to Wang. "It became a longer film based on the reception it received at Sundance," she said. "That film premiered at Sundance 2014 and came up through the Sundance Institute Labs." However, this may be the last year the Park City Film Series holds the pre-Oscar party and fundraiser at the Kimball Art Center, Wang said. "Since the Kimball Art Center will soon be moving off of Main Street, this is a last hurrah for us to celebrate our collaboration with them," she said. In addition to the three short film screenings during the fundraiser, the Park City Film Series will showcase the full collection of Oscar-nominated short films at The Prospector Theatre, 2175 Sidewinder Dr., from Feb. 20 through Feb. 22, with a different collection each evening. "Friday’s category will be Live Action," Wang said. "Saturday’s category will be Animated films and Sunday’s category will be Documentary." 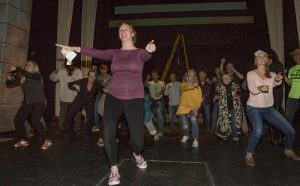 The Park City Film Series will host the Celebration of Film fundraiser at the Kimball Art Center, 638 Park Ave., on Saturday, Feb. 21, from 6 p.m. until 8 p.m. Tickets are $75 and can be purchased online at: http://www.parkcityfilmseries.com/tickets.html . Tickets for the full-collection shorts screenings that will be held at The Prospector Theatre, 2175 Sidewinder Dr., from Feb. 20 to Feb. 22, are $8 for general admission, $7 for students and senior citizens. Tickets can also be purchased by visiting http://www.parkcityfilmeries.com/tickets.html . 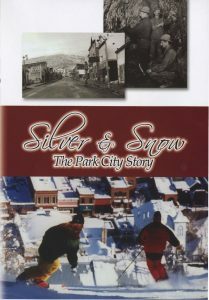 For more information visit: http://www.parkcityfilmseries.org .